Citizens Commission on Human Rights (CCHR), the leading mental health watchdog, reports that according to IMS Health, there have been steady increases in the number of children 0-5 years old being given psychiatric drugs between 2008 and 2013. In its latest article, CCHR shows how children aged 0-5 are becoming a Generation Rx, dependent on psychiatric drugs. Based on the going rate of drugging, there seems little doubt that an entire generation of America’s children will be given psychiatry’s treatments and branded with the ‘Generation Rx’ moniker. Mental health watchdog, Citizens Commission on Human Rights, in its latest article, provides the figures on the numbers of babies and young children being given psychiatric drugs. CCHR points out that to comprehend the potential dangers involved in drugging more than a million 0-5 year-olds with these chemicals, one only need consider the expected and limited developmental milestones of these children, which include learning to focus and reaching out and exploring (crawling). Between 2008 and 2013, 0 to 1 year olds made up the largest increase in the number of all psychiatric drugs prescribed and, in that five-year time frame, the prescribing increased 51%. In 2013, 274,804 children between the ages of 0-1 had been prescribed an antidepressant, anti-psychotic, anti-anxiety, mood stabilizer or ADHD drug. 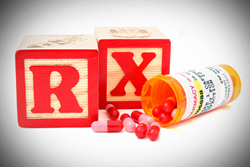 Between 2008 and 2013 there was a 48% increase in the number of 0-5 year-olds prescribed psychiatric drugs. In fact, 0-5 year olds represent the largest increase in several individual classes of psychiatric drugs, including a whopping 141% increase in antidepressants, 58% increase in anti-anxiety drugs, and 44% increase in mood stabilizers. More than 1 million children aged 0-5 were prescribed psychiatric drugs, with 110,516 taking antidepressants, and 727,304 prescribed anti-anxiety drugs in 2013 alone. Of greater concern, however, are the known adverse reactions associated with ADHD medications, including agitation, aggressive or hostile behavior, mania, seizures, weight gain, hallucinations, heart problems, stroke and even sudden death. And these are just some of the possible adverse reactions to ADHD drugs. Antidepressants carry their own set of damaging side effects, including depression, psychosis, mania, hallucinations, agitation, aggression, and suicidal thoughts to name a few. The increased rate of suicidal thoughts and completed suicides associated with antidepressant use forced the FDA to require all antidepressants carry the “black box” warning—the federal agencies most serious warning. “Important Milestones: Your Child at One Year,” Centers for Disease Control and Prevention, 27 Mar 2014, cdc.gov/ncbddd/actearly/milestones/milestones-1yr.html; “Important Milestones: Your Baby at Four Months,” Centers for Disease Control and Prevention, 27 Mar 2014, cdc.gov/ncbddd/actearly/milestones/milestones-4mo.html; “Important Milestones: Your Baby at Nine Months,” Centers for Disease Control and Prevention, 27 Mar 2014, cdc.gov/ncbddd/actearly/milestones/milestones-9mo.html. Allen Frances, "Psychiatric Fads and Overdiagnosis," Psychology Today, June 2, 2010, psychologytoday.com/blog/dsm5-in-distress/201006/psychiatric-fads-and-overdiagnosis; "Diagnosis and Treatment of Attention Deficit Hyperactivity Disorder," National Institutes of Health Consensus Development Conference Statement, November 16-18, 1998, consensus.nih.gov/1998/1998AttentionDeficitHyperactivityDisorder110html.htm. Thomas Insel, “Director’s Blog: Transforming Diagnosis,” National Institute of Mental Health, nimh.nih.gov/about/director/2013/transformingdiagnosis.shtml. IMS, Vector One: National (VONA) and Total Patient Tracker (TPT) Database, Year 2013, Extracted 2014. “Medication Guide Adderall XR,” Food and Drug Administration, accessdata.fda.gov/drugsatfda_docs/label/2007/021303s015lbl.pdf; Ritalin Drug Label, Food and Drug Administration, accessdata.fda.gov/drugsatfda_docs/label/2007/010187s069,018029s040,021284s011lbl.pdf. “Dextroamphetamine and Amphetamine,” MedlinePlus, US National Library of Medicine, National Institutes of Health, nlm.nih.gov/medlineplus/druginfo/meds/a601234.html; “Methylphenidate Hydrochloride/Methylphenidate Hydrochloride ER Drug Summary,” Physician’s Desk Reference, pdr.net/drugsummary/methylphenidatehydrochloridemethylphenidatehydrochlorideer?druglabelid=767&id=761; “Methylphenidate,” MedlinePlus, US National Library of Medicine, National Institutes of Health, nlm.nih.gov/medlineplus/druginfo/meds/a682188.html. Preda A, et al., “Antidepressant associated mania and psychosis resulting in psychiatric admissions,” J Clin Psychiatry, Jan 2001, ncbi.nlm.nih.gov/pubmed/11235925; “Fluoxetine,” MedlinePlus, US National Library of Medicine, National Institutes of Health, nlm.nih.gov/medlineplus/druginfo/meds/a689006.html; “Prozac Drug Summary,” Physician’s Desk Reference, pdr.net/drugsummary/prozac?druglabelid=3205&id=2826. “Antidepressant Use in Children, Adolescents, and Adults,” Food and Drug Administration, 2 May 2007, fda.gov/Drugs/DrugSafety/InformationbyDrugClass/UCM096273.